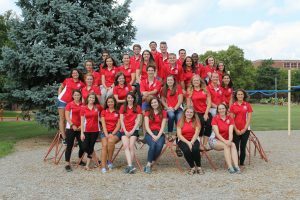 The Illinois State University Honors Program has had a record year. Due to strong recruitment, the University’s rising academic reputation, and an increasing buzz surrounding its innovative digital badging initiative, Honors freshman enrollment is up 52 percent. 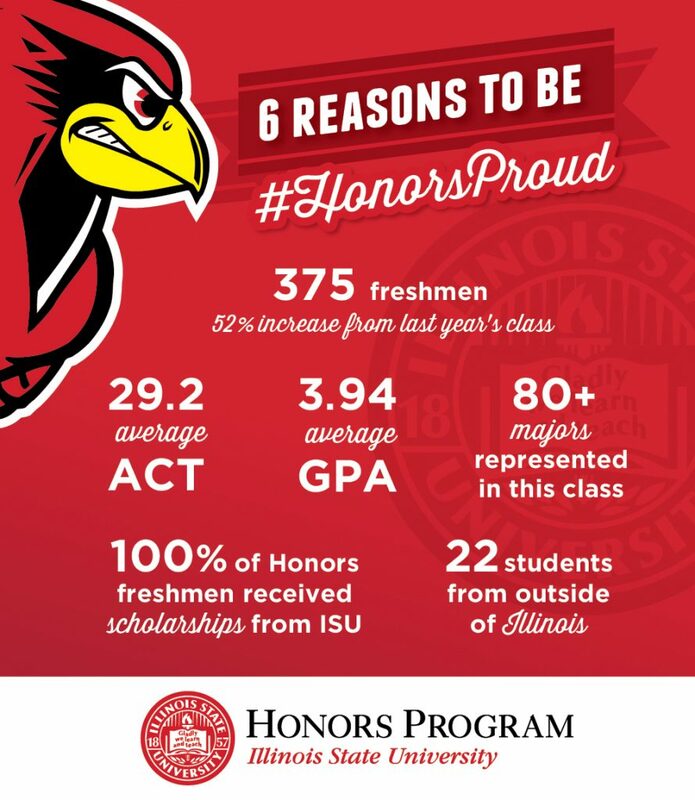 Clearly, students want to be at Illinois State, and they want to be a part of the Honors Program. This year’s Honors freshmen have an impressive academic profile and represent a variety of majors and hometowns. The Honors Program provides opportunities, resources, and support to enrich students’ learning experiences at Illinois State. The program features a framework that combines marketable skills, known as the Dimensions of Honors Learning, with memorable Honors Learning Experiences. Students are empowered to customize their undergraduate experience by pursuing Honors opportunities that reflect their unique interests and aspirations. Even with its boost in numbers, the Illinois State Honors student profile remains tough to beat. This year’s freshmen boast an average high school GPA of 3.94, and an impressive average ACT of 29.2. “This has been a remarkable year for Illinois State on so many fronts, and our record-breaking Honors class is just further evidence of students’ recognition of the quality of an Illinois State education,” said Director of Admissions Jeff Mavros. Honors students can customize their learning in ways that are valuable to them, regardless of their major. In fact, over 80 majors are represented in this year’s freshman class. The Honors Student Leadership Team is excited to work with this year’s record-breaking Honors freshman class. Colin Ringle is a freshman in one of the smallest majors on campus—geography. Some Nerdbirds flew farther from the nest than others. Twenty-two freshmen are from states or countries outside of Illinois, something to be #HonorsProud of, along with the fact that all 375 freshmen students received an Illinois State scholarship this year. Jordyn Bruce, freshman actuarial science major, came to central Illinois from Alaska and now calls herself a proud Redbird.